The global EPO market is expected to reach $11.9 billion by 2020, with promising CAGR of 9.7 percentfrom 2014 to 2020, according to a report by Allied Market Research (alliedmarketresearch.com). Darbepoetin alfa is fastest growing drug class at a CAGR of 12.9 percent during the forecast period, owing to its high potency and minimal side effects. Rising incidences of cancer, end stage renal disease, and HIV have largely contributed to the overwhelming demand for EPO drugs. About 20 percent of the patients suffering from cancer/HIV and 70 percent of the patients suffering from ESRD undergo chemotherapy, which induces anemia in such patients, requiring EPO treatment. Despite this, the market is restrained by highly priced EPO drugs resulting in minimal adoption. However, commercialization of EPO biosimilars would eventually ease the influence of restraints and fuel the market growth, primarily across the developing regions. 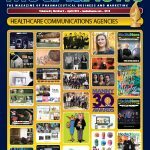 In the first 10 months of 2014, FDA cleared 24 digital health devices, including a disposable biosensor system from Vital Connect that enables the remote monitoring of vital signs, according to a report from thePwC Health Research Institute (pwc.com). According to an HRI survey, one-fifth of consumers said they would use a home urinalysis device, but nearly half of physicians said they would use data from such a device to prescribe medication or decide whether a patient should be seen. Twenty percent of physicians said they already prescribe nutrition and weight loss mobile health apps, and nearly 90 percent said patient devices and apps will be important to their practices during the next five years.